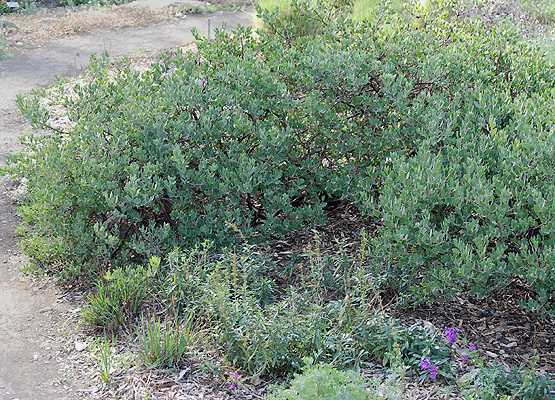 Broadleaf evergreen shrub, mat-like growth, prostrate stems, slow spreading. 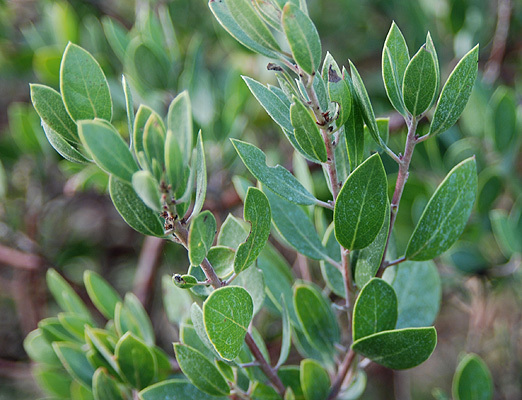 Leaves 1.52 cm long, 0.51 cm wide, oblanceolate, gray-green; petiole 4 mm long. Flowers white, urn-shaped, in small terminal clusters; bloom period winter into spring. Fruit 6-8 mm wide, more or less spherical. Sun and part sun, well-drained soil, reportedly best near the coast but tolerates a variety of growth conditions. Hardy to USDA Zone 8 Presumed extinct in its native California habitat (Central Coast, San Francisco Peninsula), but is in cultivation. 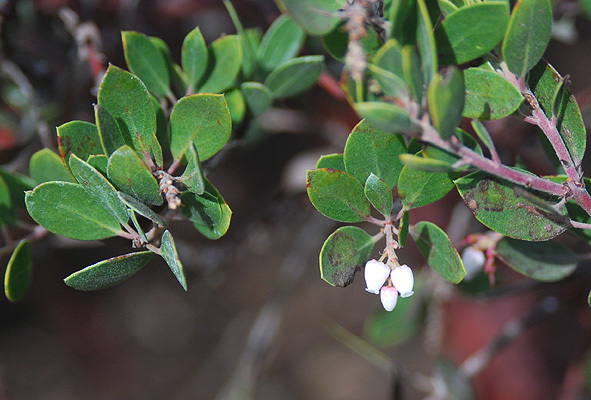 The Franciscan manzanita was historically known to exist in three populations in San Francisco, two in cemeteries and one at Mt. Davidson. 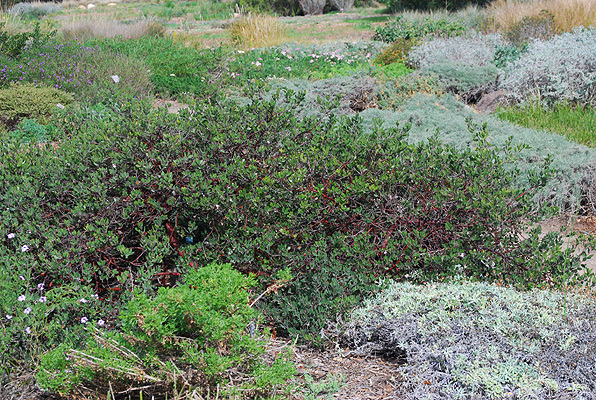 Unfortunately for this plant, it was found on lands that were highly valued for commercial and residential property in the rapidly expanding city of San Francisco. As a result, these three sites had been developed even by 1978, despite efforts by one woman in particular, Lester Roundtree, who lobbied intensely for one of the cemeteries to be maintained as a park in order to preserve this beautiful plant and its unique habitat. In a strange twist of fate, this plant now exists only in botanic gardens and home gardens. Those individuals who lobbied for the plants protection began propagating the species in the 1940's, an initiative that was spearheaded by Louis L. Edmunds of Danville. Mr. Edmunds was successful in his propagation efforts, producing plants that formed visually interesting mats three to four feet broad and six to eight inches high that were capable of surviving the dry California summer with absolutely no water. (Growing California Native Plants, Marjorie G. Schmidt, 1978). franciscana: of or from San Francisco.